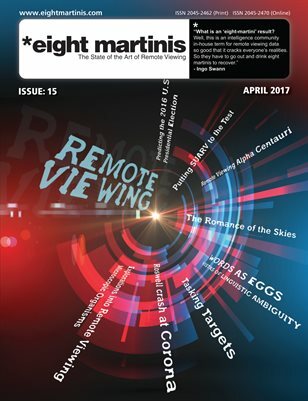 SRI – Co-ordinate Remote viewing (CRV) Technology 1981-83 briefing. – from a paper authored by Hal Puthoff and the consultant Ingo Swann. I have included a ‘briefing version’ of this paper as it has more explanatory references to the CRV process and the R&D of stages 1-8. Overview of the first three stages of training with examples. Overview of the stage4 of training with examples. Overview of the stages 5-6 of training with examples. Tom McNear CRV Training notes/manual -circa – 1985. One of Ingo’s first and possibly one of his best students training notes/manual in document form. Paul H Smith CRV Military Training notes/manual. Circa – (1996 onwards in the public domain) The modern most well know and used CRV manual. – my ‘loose’ guide with examples to use with the available material to help explain it better for those attempting to use CRV from the available material. From the CIA the Star Gate FOIA archives this is a manual/training notes written by Tom McNear, Ingo Swanns best CRV student and the first to be fully trained in the six stage CRV methodology by Ingo Swann. I acquired a copy of the Military CRV training manual late in 1997 whilst attending a CRV training course in London, England. Shortly after this Palyne ‘PJ’ Gaenir posted a copy of it on her website in 1998. 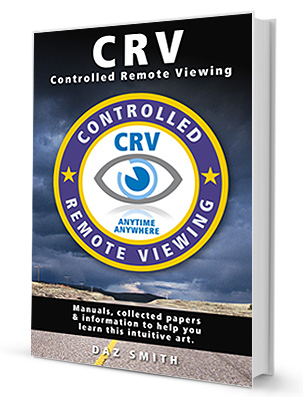 The CRV manual in its current state is not the absolute learning tool for remote viewing and CRV. What it is, is a supportive tool allowing a valuable insight into the training techniques created by Ingo Swann and the team at SRI and developed over years by the American military. 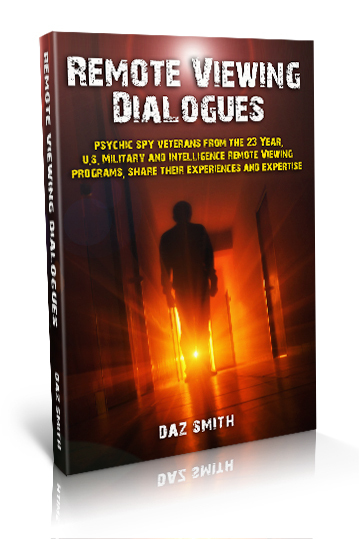 The manual is as I myself have found, a fantastic tool for the development of this remarkable skill – BUT I stress it is used to it’s best when accompanied with the knowledge of a skilful Remote Viewing teacher. In an email communication with ex military viewer Paul Smith about the CRV manual he gave me this text to add to the download. “It represents CRV in its purest form, and any departures from the principles it contains should be examined at long and hard before they are accepted. There are already a number of alleged “product improvements” based upon the CRV manual that not only are not improvements, but if they aren’t just changing “happy” to “glad” or adding superfluous embellishments, may even be outright eviscerations of CRV’s principles and effective methodologies. In considering these “new versions” of CRV methodology, it is definitely a case of caveat emptor. I see as a positive benefit of posting the manual that some of the chicanery and foolishness may finally be unveiled that has been able to persist around derivatives of CRV because the “bottom line” hasn’t until now been available. There are of course those who will offer as their excuse that this manual represents obsolete technology. My response is that none of its derivatives have thus far demonstrated anything better–or in most cases even as good–under similar constraints”. Open Source CRV – Author Daz Smith (2006). To be honest I though I would see an updated Military CRV manual or a real tool and guide from one of the long-time established ex military remote viewers by now – but this has not appeared. So I decided to create my own! I have named this ‘Open Source CRV’ which is what I hope this technology would and should be. Anyone should be able to learn this skill if they have the fortitude to ‘go the distance’ in terms of dedication and the time it takes. Over these last nine years since PJ Gaenir first put the Military CRV manual online its still just as hard and just as expensive to get any ‘real’ training in CRV. So with Open source CRV, you can use this in tandem with the military CRV manual. I tried to explain some of the scientific and hard to understand elements from the Military manual in a way that the everyday man speaks. Open Source CRV is not a method on its own, and is NOT a definitive and NOT an absolutely correct way to use CRV. Its my interpretation and use of the military CRV manual and methods I have been trained. Its essentially a guide toward using the military CRV manual, in the absence of any others. Open Source CRV includes, diagrams, descriptions with ‘real CRV examples’ and a real CRV session as an example of format. Great accompaniment to the CRV remote viewing manuals.